(CNN) Ezra Dolezal says he didn't know how to respond the day his adopted sister took him aside and asked him "not to blow her cover" about having a black father. On that day three years ago, he said, Rachel Dolezal, 37, told him she was starting life anew in Spokane, Washington, where she's now head of the local chapter of the NAACP and chairwoman of a police oversight committee. Ezra Dolezal, 22, came to visit her from Montana, where their parents live. His adopted sister was on her way to becoming one of the most prominent faces in Spokane's black community. "She told me not to blow her cover about the fact that she had this secret life or alternate identity," Ezra Dolezal said Saturday. "She told me not to tell anybody about Montana or her family over there. She said she was starting a new life ... and this one person over there was actually going to be her black father." Dolezal's race has come under question after her estranged mother claimed she is white but is "being dishonest and deceptive with her identity." "I kind of saw it coming," Ezra Dolezal said of the controversy. "Instead of sticking to a simple story, she's been trying to make this really complex and it finally got too big for her to handle." "We are her birth parents," Lawrence Dolezal told CNN on Friday. "We do not understand why she feels it's necessary to misrepresent her ethnicity." Rachel Dolezal grew up in what her parents called a diverse family, with friends from various ethnicities and four adopted siblings who are black. She was "always interested in ethnicity and diversity" growing up, her mother Ruthanne Dolezal said. Dolezal attended college in Mississippi, then went on to Howard University on scholarship -- not having identified herself as black then on her application because there was no such option, though people there may have assumed as much "because her portfolio of art was all African-American portraiture," her mother said. It wasn't until around 2007, her parents said, that Dolezal began identifying herself more with the African-American community, according to her mother. Her parents say Rachel Dolezal "has chosen to distance herself from the family." According to court documents obtained by CNN, Rachel Dolezal's adopted brother, Izaiah -- who is black -- sought emancipation from Ruthanne and Lawrence Dolezal in 2010. The adopted brother, now 21, said the Dolezals used "physical forms of punishment" and had sent his brother and sister away to group homes because they didn't cooperate with the couple's religion and rules. The adopted brother wanted to live with Rachel Dolezal "in a multiracial household where black culture is celebrated and I have a connection to the black community," the court papers said. 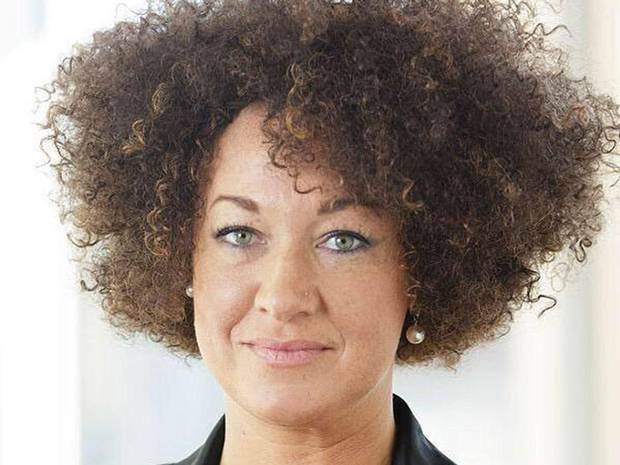 The papers did not specify Rachel Dolezal's race. Ezra Dolezal said the accusations of physical punishment were false. They divided the family. He said he never confronted his adopted sister when she asked him not to blow her cover because he didn't want to make the situation worse. His adopted sister was always interested in African-American culture but it wasn't until about 2011 that he started to notice physical changes. "There was the gradual darkening of the skin and the hair," he said. "She started molding herself into who she is today." He said Dolezal's transformation was tantamount to living in "blackface." "It's kind of a slap in the face to African-Americans because she doesn't know what it's like to be black," said Ezra Dolezal, whose biological mother was white and father half-black. "She's only been African-American when it benefited her. She hasn't been through all the struggles. She's only been African-American the last few years." Izaiah's petition for emancipation was dropped. In a separate legal action in 2010, the court appointed Rachel Dolezal to be the adopted brother's guardian with the consent of Ruthanne and Lawrence Dolezal. Ezra Dolezal said he admires his adopted sister's appreciation and advocacy for the black community and culture. But he questions her handling of the race issue. "I believe that the first most important thing regardless of what a person does is that they have integrity," he said. "Rachel has done really good work fighting against racism and police brutality ... but she went about it the wrong way. She said I was born black. I grew up black and I know what it's like growing up as an African-American in this world. She does not." Dolezal's time at predominantly black Howard University may have been a major turning point in her transformation, her adopted brother said. "When she applied they thought she was a black student," he said. "When she came there, they saw she was white and she wasn't treated that well, especially by people that worked there. She probably started developing this kind of dislike for being white and dislike for white people. She used to tell Izaiah ... that all white people are racists. She might have developed some self-hatred." On Friday, the Dolezals told CNN they didn't want to comment on a possible "legal dispute" that their daughter and the NAACP had mentioned. One organization that appears to be standing behind her is the NAACP. The group, historically one of the most prominent in supporting causes important to the African-American community, said that Dolezal is "enduring a legal issue with her family" and that "we respect her privacy in this matter." "One's racial identity is not a qualifying criteria or disqualifying standard for NAACP leadership," the group said. "The NAACP Alaska-Oregon-Washington State Conference stands behind Ms. Dolezal's advocacy record." Dolezal allegedly represented herself as African-American -- along with several other ethnicities, including white and Native American -- in an application for a Spokane police ombudsman commission. And she has presented the public with a different family photograph posted to the local NAACP chapter's Facebook page. When she announced her father was coming to town for a visit, she showed herself standing next to an older African-American man. Dolezal's public racial identity came under scrutiny on Thursday, when a reporter from CNN affiliate KXLY held up that photo and asked her if it showed her dad. She replied that it did. Then came a follow-up question: "Are you African-American?" "I don't understand the question of -- I did tell you that, yes, that's my dad. And he was unable to come in January," Dolezal responded. "Are your parents -- are they white?" came the next query. Dolezal has built a wide-ranging career as an expert on and advocate for the black community. She is not just president of her local NAACP chapter; she is also an academic expert on African-American culture and teaches many related classes at Eastern Washington University. She represents the black community publicly and vocally, including as a spokeswoman on race-influenced police violence. On Tuesday she spoke to Al Jazeera on the topic. And Dolezal has appeared alongside Baltimore City State's Attorney Marilyn Mosby, who has filed charges against police officers in the death of Freddie Gray, a young black man. After the allegations of faked racial identity surfaced, Mayor David Condon and City Council President Ben Stuckart said they take "very seriously the concerns raised regarding the chair of the independent citizen police ombudsman commission." Still, what Dolezal has done is more important than what race she is to the NAACP, regional President Gerald Hankerson said. He called the NAACP a civil rights organization first that includes "leaders from all different ethnicities," adding that it "doesn't do a genealogy search on what a person's ethnicity is when they" take a top position. As to Dolezal specifically, Hankerson said, "We represent all civil rights issues, regardless of a person's ethnicity. And the quality of the work that she has done to elevate the issues of civil rights in that region is what we applaud."